Master The Giant Claw returns! 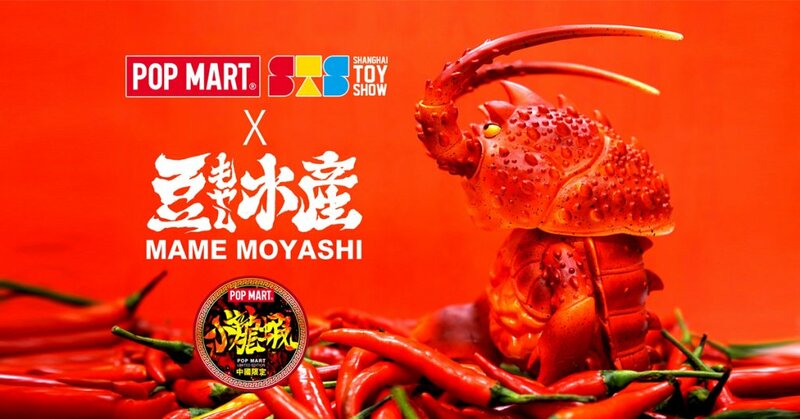 2017 Designer Toy Awards winner Chino Lam x 豆もやし社長 – Mame Moyashi putting major HEAT as they release whats available to collectors at Shanghai Toy Show 2018! Joining up with China’s powerhouse “POP MART” Master The Giant Claw “Xiao Long Xia” aka Little Lobster, aka Crawfish edition has been created for the occasion. Based on Shanghai’s famous Xiao Long Xia ( 小龙虾) dish….. Looks MOREISH! Strictly limited edition release from Chino Lam x Mame Moyashi x POP MART at booth number “B0”. Sadly no news if collectors would be able to buy after STS. Stay tuned for further updates and surprises from Chino Lam & Mame Moyashi x POP MART *Cough.